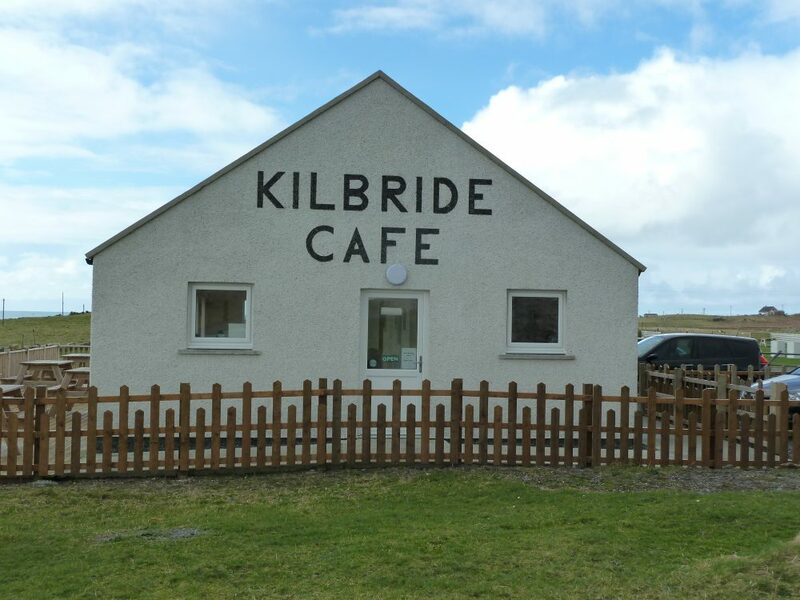 Kilbride Cafe is at Cille Bhrìghde on the south shore of the Outer Hebrides island of South Uist, by a beach of white shell sands and the aquamarine seas of the Sound of Barra. It has a great selection of home baking and home made soups and snacks. Lovely view across the Sound of Barra.